With Cambodia tour, you will have the wonderful trip to this beautiful country by different ways to enjoy the rich history of Khmer. 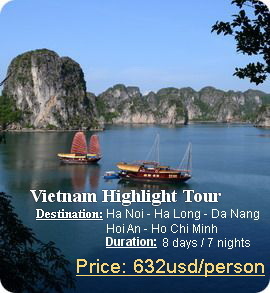 Travel to Cambodia by sea cruise, air, land or River from neighbor countries of Vietnam, Laos, Thailand you will have the chance to explore different highlights. Phnom Penh and Siem Reap are two must see destinations in Cambodia tours that offer you the exotic country with charming and magic. While Phnom Penh offer a rich history traced by Khmer and French influences that easy recognized at Khmer and French style combination temples, villas, building. Visit Angkor Wat the gateway to majestic ruins of Angkor. The world famous wonder of Angkor Wat gives you the chance to walk in the jungle with much unique architectures including Angkor Wat, Angkor Thom, Terrace of Elephant, Grand and Small Circuits, Banteay Srei plus the boat trip on Tonle Sap Lake or called Great lake to experience of fisherman lives will be a wonderful experience in your voyage. By limited time of Angkor Way discovery only, highlight trip or beaten track off Cambodia, Eco Nature Travel ensures you a great journey with us to explore the country in Southeast Asia with many unique complex and meet Cambodian friendly people.